The project involves a two level composite concrete and steel truss bridge crossing River Brahmaputra in Assam. Total length of the bridge is about 4.2 km. A standard span of 121.6 m lenth (centreline-centreline bearings) and an end span of 30.0 m length. 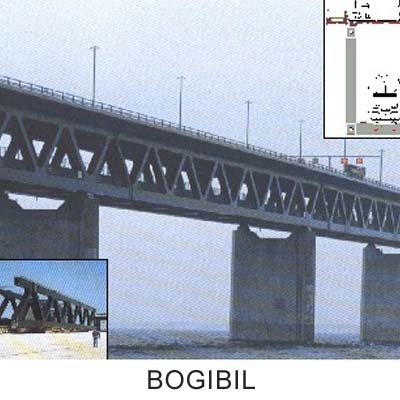 Distance between centreline-centreline span truss plane is 11.0 m.
Substructure: The substructure at every pier location comprises twin circular hollow columns (each of 3.0meter in diameter with 1.0 meter wall thickness) connected together at the top by a pier cap 7.0 m wide x 17.6 m long x 1.2m thick.